In 1969, Sandro Brugnolini and Stefano Torossi released Musica per commenti sonori on Italy’s Costanza Records. The library music album of rock, funk, and jazz instrumentals features Maurizo De Angelis on acoustic and electric guitars, Giorgio Carnini on piano and organ, Enzo Restuccia on drums, and Giovanni Tommaso on bass. In August 2016, Schema reissued the original album for the first time, in both CD and vinyl. Side A includes “Sweet-Beat,” “Interrupted,” “Repetition,” “Starter,” “Makkaresh,” and “Fast Train,” with “Motuproprio,” “Free Stuff,” “Wawa,” “Polyphony,” “Grace,” and “Flyer” on side B. Like Sandro Brugnolini’s Overground and Underground albums in 1970, Musica per commenti sonori was recorded at Dirmaphon Studio in Rome. The album was the first of four full length efforts the two did between 1969 and 1997, in addition to several releases with tracks by Brugnolini that were produced by Torossi. 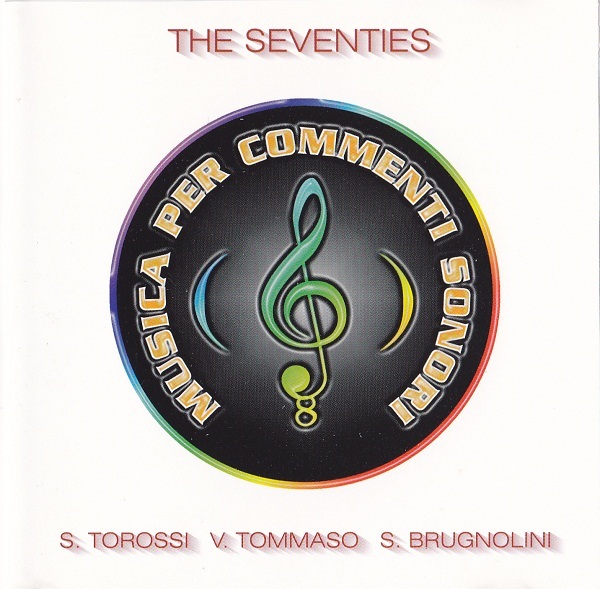 “Sweet Beat” is one of ten tracks on the 1969 LP by composer-sax player Sandro Brugnolini and composer-producer Stefano Torossi which later appeared on Musica per commenti sonori: The Seventies, a 1998 reissue by Costanza Records. The CD also includes music from Vito Tommaso and Torossi’s 1969 Musica per commenti sonori album (CO 10004) plus tracks from Stefano Torossi’s Musica per commenti sonori (CO 10002) released in 1968. The Schema 2016 vinyl and CD release is the first time all twelve tracks of the Musica per commenti sonori (CO 10005) album have been available since the original issue of the limited-run library music album. 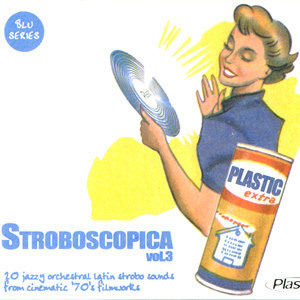 In 2013, the same ten tracks from 1969’s Musica per commenti sonori on the 1998 reissue were included on Vintage Jazz, Pop & Rock: 1960s 1970s Easy Listening. The digital download by Deneb Records retained the original track order but changed about half of the song titles and is currently available from major online retailers including Amazon and iTunes as well as Flippermusic directly. 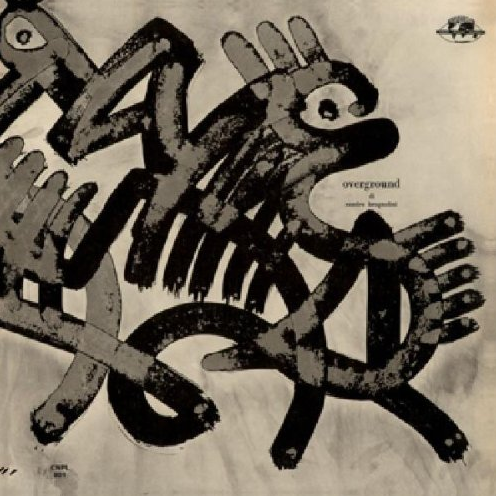 “Motuproprio,” later known as “Motu proprio,” is a Sandro Brugnolini and Stefano Torossi composition that appears on the Musica per commenti sonori (1969) LP, the Musica per commenti sonori: The Seventies (1998) CD, the Vintage Jazz, Pop & Rock: 1960s 1970s Easy Listening (2013) download, and is now available again in LP and CD format in 2016. In 1974, Sandro Brugnolini and Stefano Torossi joined Giancarlo Gazzani and Puccio Roelens (aka Gary Stevan and Jay Richford) on Feelings, an original album that has long been considered one of the best and most influential records in the library music genre. Now available as a download from iTunes USA, in 2016 it was reissued in CD and vinyl by Schema. Previously, the landmark album was reissued by Top Tape in Brazil, Conroy Eurobeat in the U.K., Costanza Records, Easy Tempo, and Fonit Cetra in Italy, and Golden Pavilion Records in Portugal. In addition to Musica per commenti sonori in 1969, Sandro Brugnolini and Stefano Torossi recorded three full length albums together: Strumentali: Genere computermusic – Homo tecnologicus and Strumentali: Emozionale released on Fonit Cetra in 1987 and 1987, respectively, and Musica per commenti sonori: Acoustic (I Marc Quattro oggi – suoni acustici degli anni ’60-’70) by Costanza Records in 1997. This CD, also produced by Stefano Torossi, was recently reissued in digital format. Both of the Strumentali LPs are out of print. Stefano Torossi also served as the producer of Sandro Brugnolini’s tracks on several more albums by Fonit Cetra. This includes the compilations Strumentali: In giro per il mondo in 1987 and Commenti Musicali: Thrilling – tensione – terrore in 1989, and Brugnolini and Antonio Sechi’s Strumentali: Il mondo del lavoro the same year. The Commenti Musicali compilation is one of several produced by Stefano Torossi and released jointly by Fonit Cetra and RAI. Torossi also produced Brugnolini on cuts on Strumentali: Vita d’oggi in 1991 and Commenti musicali: Musica d’epoca – prehistoria e storia antica in 1993. In 1998, Stefano Torossi produced a pair of tracks on Musica per commenti sonori: Crime & Punishment and another on Musica per commenti sonori: Check Up in 1999. Both of these Costanza Records’ CDs have recently been reissued as a digital downloads by Deneb Records. Sandro Brugnolini and Stefano Torossi have also made numerous uncredited appearances on vinyl in their long association including one for Giancarlo Gazzani’s Musica per commenti sonori, a Constanza Records’ LP that was pulled from circulation shortly after release. The two are also uncredited composers on Fourth Sensation‘s eponymous 1970 album on Ricordi, Oscar Lindok’s Orchestra’s The Rhythm Of Life on CAM in 1972, Vasco Kojucharov’s Ritmi e Suoni in 1973 on Picci Records, and Paolo Ormi’s Tastiere on Jubal in 1974. See the ALBUMS section for a closer look at each of these library music releases as well as the 1987, 1989, and 1997 Brugnolini and Torossi albums. Composer and alto sax player Alessandro “Sandro” Brugnolini, born and raised in Rome, first drew attention at a national jazz festival in 1958. Brugnolini, a member of the Modern Jazz Gang from 1956 to 1965, played sax, arranged, and was the main writer on albums that include Miles Before And After (1960). Several of Brugnolini’s most popular albums were done in the run-up to Feelings, including Underground (1970), Overground (1970) and Utopia (1972). His soundtrack output includes Gli arcangeli (1962) with the Modern Jazz Gang, featuring Helen Merrill on vocals, Fantabulous, Inc. (1967), with vocals by Gianpiero Graziano, and Gungala la pantera nuda (1968) and Dov’é L’Australia (1968), both with Luigi Malatesta. In addition, Sandro Brugnolini released a series of albums in the early to mid-1970s under the alias Narassa, nearly all with pianist-keyboard player Amedeo Tommasi, including Tensione dinamica, Guerra e angoscia, Camera-Car, and Made In U.S.A. Tensione dinamica, originally issued on Amedeo Tommasi’s Rotary Records in 1973, was reissued with a new cover by Intervallo in May 2016. Shortly after Sandro Brugnolini worked with Stefano Torossi on Musica per commenti sonori, he created a pair of his most impressive works, Overground and Underground, both released in 1970. Overground, reissued as a limited release LP in 2008 and deluxe slip-case CD in 2009, is now one of several Brugnolini albums first issued in vinyl that are now available in both CD and digital formats. 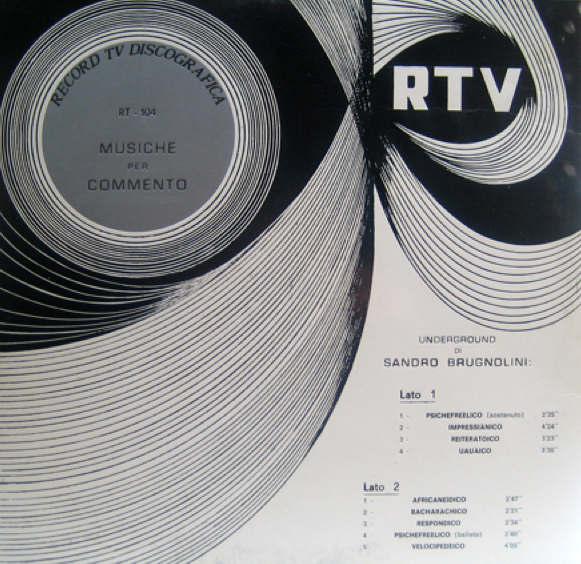 Sandro Brugnolini’s Underground, also recorded in May and June 1970 at Dirmaphon Studios in Rome, has recently been released as a limited-run LP and as a digital download at bandcamp by Italy’s SONOR Music Editions. Fans now can choose from a variety of formats including FLAC amd MP3. Featuring Angelo Baroncini and Silvano Chimenti on guitar, Giorgio Carnini on organ, Enzo Restuccia on drums, and Giovanni Tommaso on bass, the Underground reissue features juicy instrumental tracks that touch jazz, library, funk, progressive rock, and lounge music. Both compositions originally appeared on Sandro Brugnolini’s 1972 Utopia album released on Italy’s Gemelli Records. 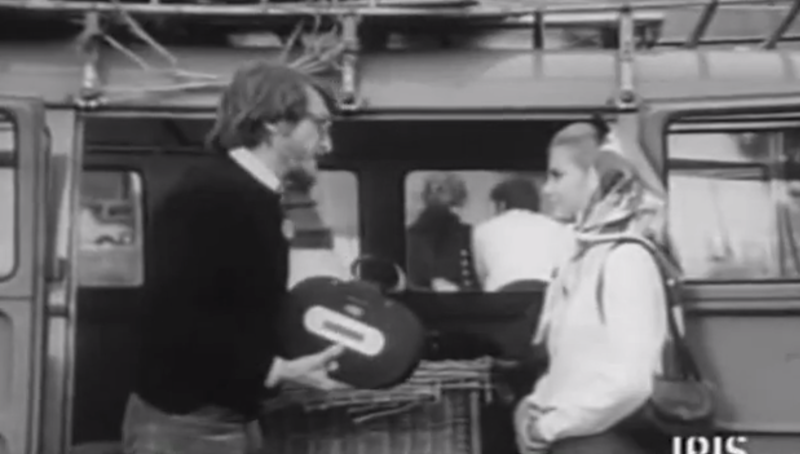 Among other musical projects by Stefano Torossi in 1969 was a second soundtrack for director Vittorio Sindoni, Italiani! È severamente proibito servirsi della toilette durante le fermate (Italian! It is Strictly Forbidden To Use The Toilet During The Stops!) (1969). The film was also Stefano Torossi’s first featured acting role. The previous year Torossi did the soundtrack for Sindori’s Omicidio per vocazione (aka L’assassino ha le mani pulite) (Deadly Inheritance). An expanded version of the soundtrack was reissued in 2016 by Digitmovies. NOTE: This Spotlight on Sandro Brugnolini and Stefano Torossi’s Musica per commenti sonori (1969) was first published 2 July 2014. This upgraded version adds new content.